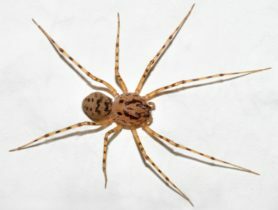 The spider species Scytodes thoracica belongs to the genus Scytodes, in the family Scytodidae. 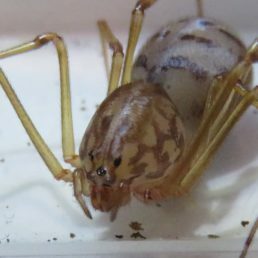 Scytodes thoracica spiders have been sighted 23 times by contributing members. Based on collected data, the geographic range for Scytodes thoracica includes 6 countries and 8 states in the United States. 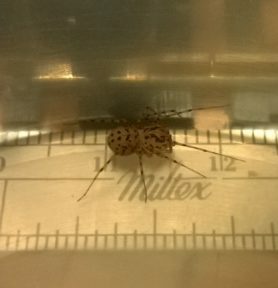 Scytodes thoracica is most often sighted indoors, and during the month of April. 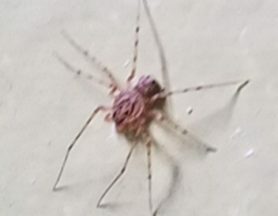 There have been 23 confirmed sightings of Scytodes thoracica, with the most recent sighting submitted on March 23, 2019 by Spider ID member illegalseagull. 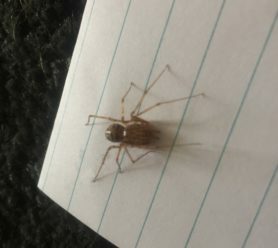 The detailed statistics below may not utilize the complete dataset of 23 sightings because of certain Scytodes thoracica sightings reporting incomplete data. 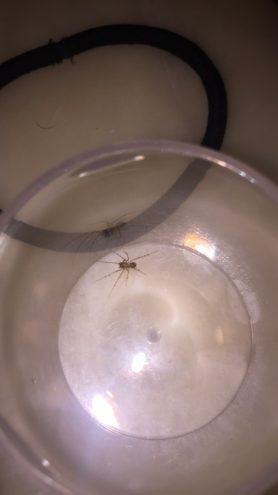 Environment: Scytodes thoracica has been sighted 0 times outdoors, and 10 times indoors. 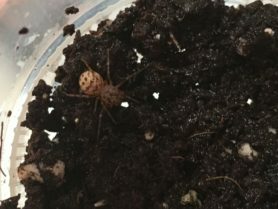 Scytodes thoracica has been sighted in the following countries: Australia, Germany, Italy, Turkey, United Kingdom, United States. 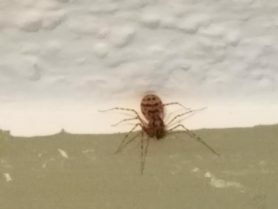 Scytodes thoracica has also been sighted in the following states: Illinois, Indiana, Massachusetts, New York, Pennsylvania, Utah, Washington, Washington, D.C..
Scytodes thoracica has been primarily sighted during the month of April. 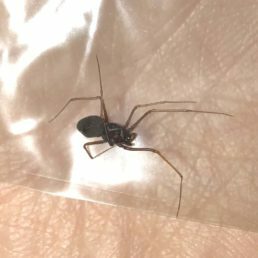 Eye arrangement is similar-looking to that of the “brown recluse” and other species of Loxosceles. Color, pattern, and carapace shape are vastly different, though. Subdues its prey with a spray of venom-soaked silk and glue. 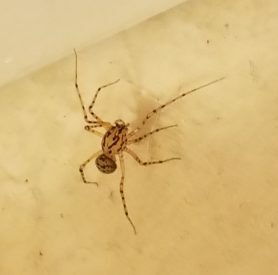 Typically stalks prey to within 10-15mm and then “spits.” The spit actually shrinks afterwards, helping to constrict the prey (Suter & Stratton 2009); once it’s immobile, the spider moves in to bite and inject venom. 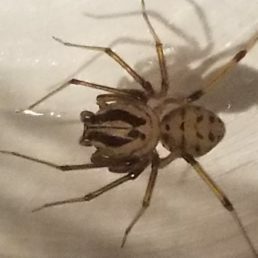 Usually found at night, slowly wandering around, or simply not moving at all. 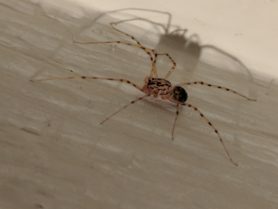 In addition to Scytodes thoracica, there are at least eight other described species of “Spitting Spider” that have been collected in the United States; some may be endemic to the southern states, others may be synanthropic and were introduced from Central and South America via commerce. Very simple courtship: the male basically just shows up and touches the female with his legs and then climbs over and under her. 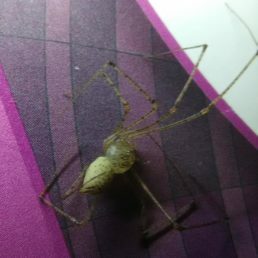 Egg sacs have around 20-35 eggs and are carried beneath the female’s body, held in her chelicerae (jaws) and, at the same time, tethered to her spinnerets by strands of silk.